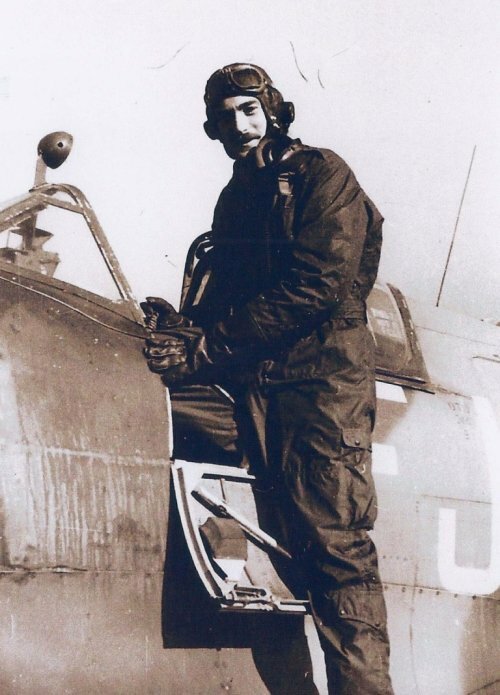 In the summer of 1940, Paul Farnes was a 21-year-old sergeant pilot in RAF 501 Squadron and flew Hawker Hurricanes during the battles of France and Britain. 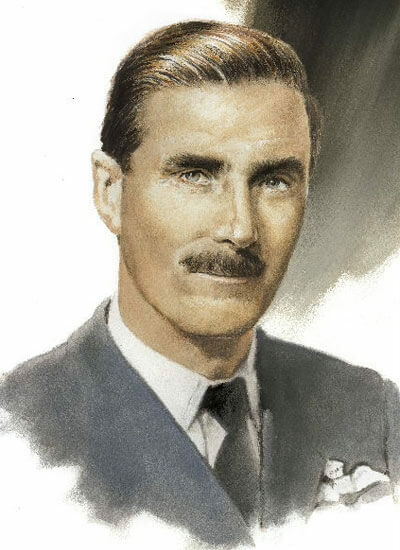 By the end of the year he had achieved eight confirmed victories against enemy aircraft and was awarded the Distinguished Flying Medal (DFM) as well as being commissioned as an officer. Now a wing commander and aged 98, Farnes is one of the last surviving members of ‘the Few’, the small group of Allied airmen who successfully defended Britain’s skies between July and October 1940 when Europe had fallen to Nazi Germany and an invasion seemed imminent. The Battle of Britain has since achieved an iconic status and the bravery of the outnumbered pilots has long been recognised. As of March 2017, Farnes is one of only two surviving ‘aces’ from the battle and he spoke to History of War about his incredible experiences. Like many of his contemporaries, Farnes’s story is thrilling, understated and poignant in equal measure. 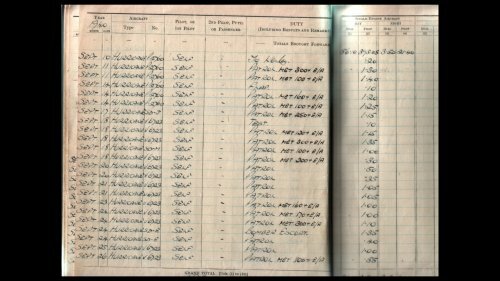 When you joined the RAF Volunteer Reserve in April 1938 were you anticipating an upcoming war or did you simply want to fly? I think by 1938, things were not looking too good. I think that a number of young chaps about my age were thinking, “If war’s going to come we’d better get some training in and get some experience” On that basis I started off by trying to join the Royal Navy. I worked in London and every morning I used to walk along the Embankment and I’d walk past HMS President, which is the navy’s recruiting ship. I went and got papers from them for joining but on that weekend, I met a chap I hadn’t met before but he was the friend of a friend and he said he’d heard that I was thinking of going to the Royal Navy volunteers and he said, “Why don’t you fly? It’s much more fun, you don’t want to be in a ship.” He said, “Come down with me at the weekend because I’m in the VR [RAF Volunteer Reserve]” so I went with him. It was quite near Walton-on-Thames where I lived at the time. When I got there I was amazed. By then he’d been in there some time and had a pass for Tiger Moths and was flying Hawker Harts and things like that. It was marvellous and I thought “Right” and decided to do something about it. It wasn’t all that easy. I am illegitimate and thought the air force wouldn’t accept me, but my adoptive mother wrote to the Air Ministry to explain the circumstances and they wrote back and said so long as your son can pass the necessary exams, medical and otherwise, we’d be glad to have him. So that was it. I started off and passed the necessary medicals and became a VR. That’s really how it started. That was in 1938 and from that moment we took off. Of course I did get in to the full-time air force because things were becoming pretty difficult. Germany was becoming a bit of a nuisance and I think everyone was getting a bit jittery so I was glad that I was in the services. But the government decided that the RAF VRs could do six months in the regular air force. You left your job and went to do your six months but you had to get your previous job back. So I went off to south Wales and converted from the Hawker Audaxes and Hinds that I’d been flying in the VR. It was great fun in south Wales. We were converted to Hurricanes but war of course was looming and before I’d finished my six months the war had broke out. I found myself in the air force and ready for war. How did your war start? 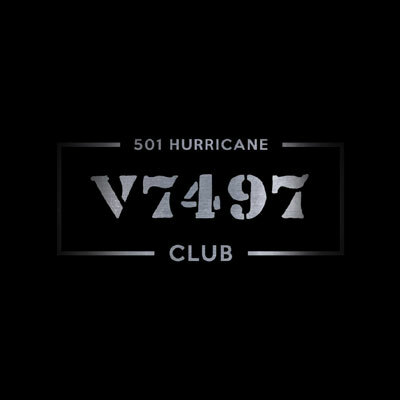 It started with me being posted to RAF Filton, near Bristol with 501 Squadron on Hurricanes, which was an auxiliary squadron. I joined with a chap named Bob Dafforn who was about the tallest man in the air force. He was 6 ft 7 in and had quite a job getting into a fighter aircraft, they had to shoehorn him in! He came to 501 so there were two of us that joined together, which was nice to know somebody like that. We got on fine and it wasn’t long until our squadron was posted to France in about March 1940. We were in France with the Advanced Air Striking Force. That was a bit grim. You were suddenly pitched into a war and after all it was the first time we had fired our guns in anger. In a way it was rather exciting in that our conditions were infinitely better than the army’s but we were still having to sleep pretty rough. It was pretty primitive living but that was a small part to play. We were there [in France] for a few weeks before we got shunted out. By various complicated means, two or three of us got to the Channel Islands by boat from France. We couldn’t all go with the squadron because there wasn’t enough aircraft. The main squadron flew over to Jersey and we got there by boat and met up with them. Three of us were then told to fly over to Guernsey to look after the evacuation of the island. There wasn’t really very much that went on, we didn’t see any Germans and no German aircraft came over so we felt that we were wasting our time there really. There were three of us: an officer and another chap who was a sergeant pilot like myself. After about two days the officer with us, a bloke called Ken Lee, said “I think we’ll go”. He must have spoken to somebody, so we took off and flew back to Tangmere. We got out of France that way. When you were in France how did it feel to come across German aircraft for the first time after your training? It was very exciting. I never remember being afraid in any sense. I was a bit apprehensive occasionally but I never felt afraid of anything. I felt that we were certainly as good as the Germans. 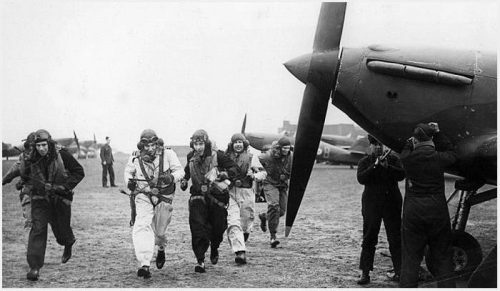 Which RAF bases were you posted to in south-east England during the Battle of Britain? The main base when the Battle of Britain started was Gravesend and we were there for a few weeks. We were based at Gravesend but every morning at the crack of dawn we’d fly down to Hawkinge, which was just on the coast at Folkestone so we were much nearer to France and the oncoming Germans. By getting up there it made contact with the enemy a good deal easier. For all that time we were really operating from Hawking and we’d go back to Gravesend in the evening. What would your routine be on a day-to-day basis? There was no routine. You were given instructions as a squadron by the controllers. We were controlled as to whether we were at ‘Readiness’, ‘Availability’ or ‘Standby’ or whatever it was and we had various conditions. With ‘available’ we had to be able to get airborne in about 15 to 20 minutes. Then you had ‘readiness’ where you had to be up within a matter of a few minutes or then you had ‘standby’ where you’d actually be strapped in the cockpit ready to take off. So we had those three situations and you were told what to do but we didn’t have a routine or do the same thing everyday, it was always different. It depended on some extent to the weather. The weather in 1940 was very good but we’d get some bad days of heavy cloud or rain where we didn’t take off very often because we didn’t have the equipment that they have nowadays. It was all that sort of thing so we knew what we were going to be facing each time we took off. However, we didn’t always meet up with the enemy. The sky is a big place and although you’re guided by the ground controllers, its not that easy to see other aircraft quickly. Did radar make you feel more secure knowing what was up there? It didn’t really make a lot of difference but it was helpful to know whether they were fighters or bombers. You didn’t often get a great rush of Me109s coming over on their own, they were nearly always escorting bombers. The bombers would come over at anything from 15,000-20,000 feet and the Me109 fighters would usually be above them and of course we would know what height the bombers were at so we’d know where to be looking. It was all very well controlled, the ground control was good with all the WAAFs [Women’s Auxiliary Air Force] plotting out our positions. Everybody knew what their job was and they did it well. What is your opinion of the RAF ground crew? You had your own ground crew and they were very ‘pro’. They were marvellous. If anything went wrong with your aircraft they’d work on it all night if necessary to get it ready and get it back to serviceability. You can’t speak highly enough of the ground crew, they were marvellous. And so were the WAAFs too, all the backup was good. 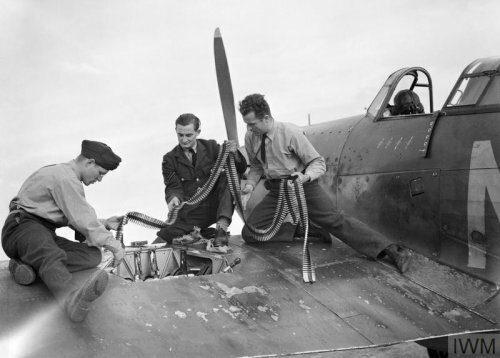 That included the controllers, plotters and ground crew with armourers and fitters. The whole organisation was pretty efficient and it worked very well. How did you find flying during the battle? I was fairly experienced compared to a lot of the chaps. I’d had good training and had flown the Hurricane for quite a few hours before the Battle of Britain started whereas a lot of the young pilots coming in only had about two or three hours on Hurricanes. It was useless, you really had to have flown a Hurricane for a few hours before to get used to it. After all, when you’re fighting in combat you’re throwing the airplane around, you’re not just sitting straight and level and firing your guns. You’re doing all sorts, you’re trying to avoid other aircraft or trying to get into position to shoot at something else so that it was a continual battle but these chaps hadn’t got a clue. They’d hardly ever flown a Hurricane, let alone turned one upside down. I’m afraid they were the ones that went first. We lost a lot of our young chaps who came in and didn’t last very long. But as I say. we were lucky. Bob Dafforn and I were still together and we both had quite a lot of experience because we’d been in France as well. When we got to that stage we were usually given our own aircraft and I had my own aircraft for several weeks, 2760. In my logbook it’s the same aircraft for page after page. That made a lot of difference. 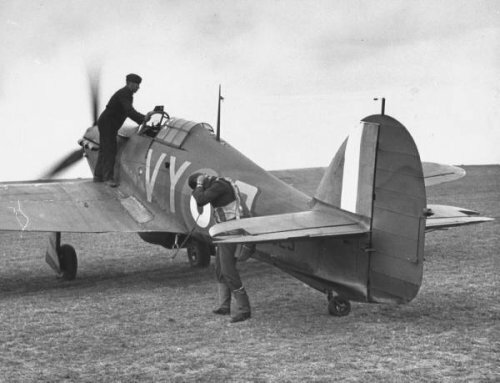 What did you think of the Hurricane as a fighting aircraft? It was marvellous. It’s a pity, although I can understand it to some extent, that the Spitfire always gets all the credit. You will talk to someone and they will ask, “What did you fly?” and when you say “a Hurricane” they will say, “Oh… did you fly Spitfires?” I did actually fly Spitfires but not during the Battle of Britain. 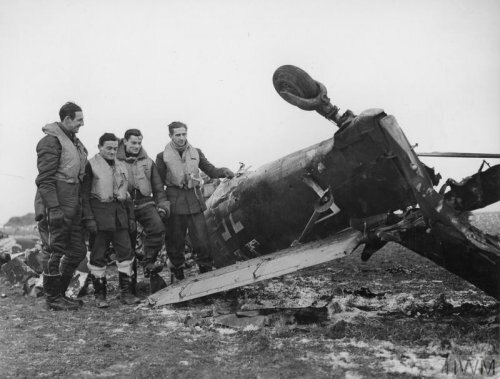 The Hurricane did all the work and it shot down far more aircraft than the Spitfires. It was a very good aircraft and it would take an awful lot more punishment. It was a wooden aircraft really, the framework was wood and canvas whereas the Spitfire was all metal. I can understand that the Spitfire got a name, it was faster than a Hurricane, probably a more beautiful aircraft and wonderful for aerobatics, but if you flew Hurricanes you were happy. Funnily enough the whole time I flew Hurricanes I never thought “Oh I wish I’d got a Spitfire!” I was very happy with my Hurricane and flew it all the way. The only reason I lost my Hurricane was because I went on a 24-hour pass. I lived in Worthing, which was easy to get to from Kenley, and I went home for the day. It was 15 September and a Belgian pilot had joined the squadron. I’d never met him but he was apparently given my aircraft to fly because he wanted to or they needed him to fly so he was given my aircraft because I wasn’t there. The silly man went and got himself shot down and my aircraft ended up buried somewhere in the Thames. The engine of my aircraft was eventually dug up and it’s now on show in Hawkinge Museum. It was good to see the poor old engine again or what was left of it. I was very upset about that because I’d flown the same aircraft for about two and half months of the battle. To lose it like that was horrible but there we are. The poor Belgian was killed. 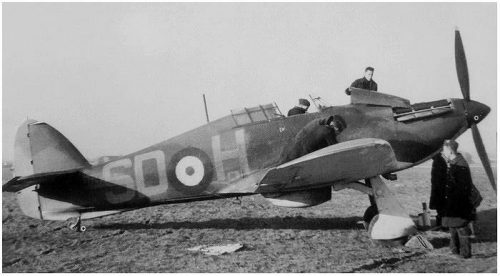 The Hawker Hurricane was the most numerous and successful RAF fighter during the battle. What was your opinion of the German aircraft that you encountered by comparison? The Me109 was very fast, it could go higher than we could – certainly higher than the Hurricane. They were good, I think some of the pilots were very good too. I think it was a fairly even battle but what a lot of people don’t realise is that its very different fighting over your own country than having to go to another country to bomb or fight. I think considering that fact, the Germans were pretty good, they came over and they got stuck in. They didn’t turn tail and run when they saw us coming. It was a pretty fair fight, there wasn’t much difference in the aircraft. Where the Germans did have the advantage was they had cannons where we had machine guns. The difference between a cannon shell, from the cannons they were using in the Me109s, and the poor little .303 bullets in our guns looked pretty substantial. If you got hit by a cannon shell in a Hurricane or a Spitfire, it could do enormous damage. In fact it was most likely that you would have to bail out if it did really hit you, whereas with the 109s and our machine guns, you had to get them in a vital place to be sure of getting them down, which of course was not always very practical. As far as I was concerned, you just shot at the aircraft. There are people who will tell you that they shot at the petrol tanks but that’s a load of rubbish. You just shot at the aircraft and hoped that you hit the engine. Aiming was’t something that you could do in a battle, you couldn’t sit back and pick your target, that wasn’t a feasible proposition. You’ve previously described fighting in battle as a “free for all.” What did you mean by that? You would take off as a squadron and you’d climb up to whatever altitude you were told to go to and then if you met the enemy you wouldn’t go and attack them as a squadron. You broke up and once you found the enemy and got stuck into him, you were fighting and trying to shoot at the bomber. You would also be trying to keep an eye open so you could see where the 109s were coming down. It was a “free for all” in that there wasn’t a regimented system when you got in a certain position. You just broke up and whipped the aircraft around trying to find something to shoot at. You’d give them a burst and then break away. You’d have to be constantly looking around because otherwise the German 109s would get you. A lot of these youngsters were so busy trying to fly the aircraft and looking at the instrument panel, or even trying to find the gun button, that they were the first to go. Whereas the more experienced of us, we’d know what was going on and had a good deal of control over the aircraft. Are there any combat incidents in particular that stick out in your mind? Yes, one or two. We’d taken off climbing up to 25,000 feet and I had to return to base because my RT or oxygen wasn’t working properly. I lost height, came down to about 1,500 feet and headed back towards Kenley where we were based. I was flying more or less along the railway line from Brighton to Kenley and suddenly coming towards me at more or less the same height was a Ju 88 German aircraft. I thought “Good God” so I whipped out and had to reposition myself and managed to get round behind him. I gave him a couple of bursts and he crashed at Gatwick just on the point between the airport and the racecourse. It was particularly poignant for me because I landed and the station commander took me over to meet the pilot of the German aircraft. I went to shake hands with him but he wouldn’t shake my hand. One of the gunners was alright but the other was killed. It was particularly poignant for me because I did all my training as a VR at Gatwick so it was quite a thing to feel that I shot down an aircraft that crashed there. On another occasion I’d shot down a 109 and as the pilot bailed out I watched him coming down and the parachute opened. I waved to him and I got a wave back! I watched him land – he was ok – and I saw the farmers coming out to see him. I don’t know what happened after that because I had to get back to base. Those are the two incidents that stick out but otherwise you’d find that smoke would start coming out of the aircraft and maybe one of the crew would bail out but there were other times of course where you didn’t shoot them down and you just damaged them. You could see that you were hitting them with your guns but you didn’t get them. How many confirmed kills did you have in 1940? I was credited with eight kills during France and the Battle of Britain. I believe there are only two of us left who are so-called ‘aces’. 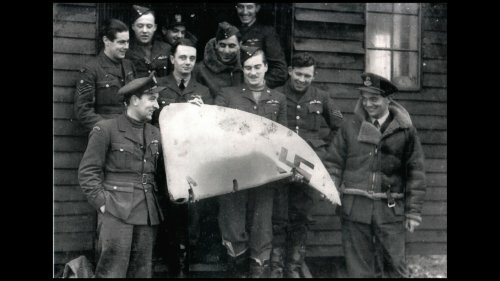 What was the camaraderie like between your fellow pilots? In our squadron it was marvellous. The sergeants and the officers all got on well together. If a sergeant was experienced enough he’d probably lead a section but some of the other squadrons I know from speaking to the pilots said, “Its alright for the officers but not so good for us” – that kind of attitude. We never had that in 501 Squadron, we were all for each other and there was a great camaraderie within the squadron and the ground crew too. It was a wonderful atmosphere but apparently it wasn’t always the way with other squadrons. It’s a pity really because I think it really helped all of us. We were all sergeant pilots, it was only the regulars who were flight sergeants. You could be a regular sergeant pilot in the proper air force as a career, whereas VRs weren’t in it for a career, we were just in it for the war. However, some of us like myself got a permanent commission and stayed on after the war. I stayed until I was nearly 40. Would you try and train the young pilots as much as you could? To some extent, if there were circumstances where there was room for traning, even though the war was still obviously on. You would be training but your guns would still be loaded and you flew with everything ready just in case anything did happen. You could still take some of the less experienced pilots up and give them what we call a “tail chase.” In other words they had to follow you and of course you’d go in there and you’d throw the airplane about and they had to follow you. It made them feel more confident in flying and turning the aircraft on its back or whatever. We would do it when we could but of course it just depended on the situation at the time. We did have times when things were fairly slack and there were no signs or reports of enemy aircraft coming over. Then you could do a bit of training or perhaps even go out. Some of the chaps liked to go up to London so sometimes you’d hear “We’re stood down for the rest of the day” and they’d go off. I personally didn’t, going to nightclubs in London didn’t appeal to me at all. I’d much rather just go to the local pub, which is what we did quite often. All the WAAFs used to go down there too so it was quite good, we had some pleasant evenings at the pubs around Kenley. Of course you didn’t get an awful amount of time off. On a typical day we’d be over at the dispersals by around 5am and we’d stay out there. On a busy day my logbook states that we would do six sorties in one day. That would mean six separate takeoffs in one day when things were really hotting up. Would you get tired flying continual combat sorties? You’d get tired and sounds a bit silly but we’d be out at dispersal where the whole squadron would be and we might be on “available”, which is about 15-20 minutes so you’d have plenty of time. You could even be in the mess where you could be quickly whipped over to dispersal in a truck. Quite often you could doze off and if it was quiet you could have a little nap. Quite a lot of chaps would doze because we’d been up since 5am. We were billeted in local houses around Kenley and all our squadron were in one house. It was quite fun. Every morning when we came down we’d get down there for between 4.30 and 5am. There were two sergeant WAAFs who used to come in and they’d make us hot tea with sugar. I didn’t take sugar but it was very good at that time in the morning. They’d also give us toast with beef dripping. That was lovely and it was completely voluntary. They just did it out of the goodness of their hearts, they didn’t have to do it. That was the sort of thing that went on, that camaraderie between everybody, we were all helping each other. As far as we were concerned, we were very friendly and all got on well. You’ve said that you “enjoyed” the Battle of Britain, what did you mean by that? Well I did. It’s difficult to describe. I joined the VR because I wanted to fly. Everywhere in the Battle of Britain we had marvellous airplanes, wonderful aircraft, and you flew several times a day, which is what you wanted to do. You were doing it for a reason too, you were doing it to protect your country. Altogether it was quite enjoyable, it really made it for me. I know of several other chaps who have said they enjoyed it. 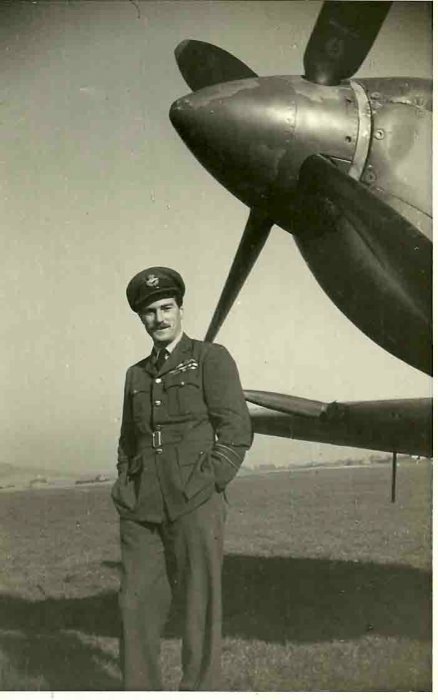 I knew that there was a chance that I was going to get shot down but I think because chaps like myself had got quite a lot of experience (because we’d been in France for some weeks) so we got used to things and knew what the form was. I think we felt pretty confident of our ability to cope with whatever was thrown at us and I think overall it was enjoyable in a sense. Flying, a bit of excitement thrown in, that’s how I found it anyway. 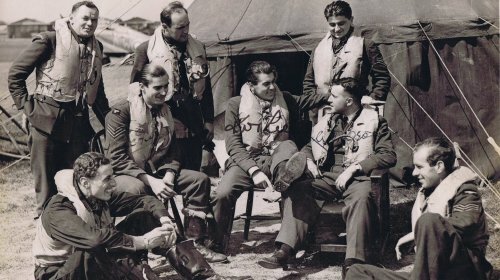 For instance, the CO would quite often pick the next members of the squadron that had to be at ‘readiness’ and the two or three who weren’t picked would be pretty fed up. If you weren’t picked you’d think “Why can’t I go?” I’m sure one or two must have felt “Well thank God I’m not going!” but a lot of us were quite happy to go. I can’t honestly say that I was ever frightened in the Battle of Britain. Even when you saw the enemy you’d see 200-300 bombers and about 100-200 Me109s and there were only 12 of you but I never felt frightened and neither did a lot of the other chaps I knew. 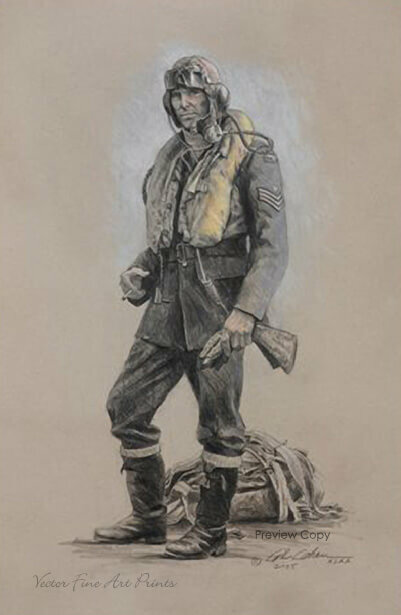 You did get the odd one or two who had LMF, a Lack of Moral Fibre but as far as I know we only had one chap who had it in the squadron and he eventually got himself shot down because he would hang back and he was always having to return to base because his RT, oxygen or something else wouldn’t be working. Was there any sense that the Germans could possibly win the battle? I don’t think one ever felt that. I never remember anyone thinking that we were going to lose, I don’t think it ever occurred to us. People will ask you about what your view was of the battle but after all we were sergeant pilots. 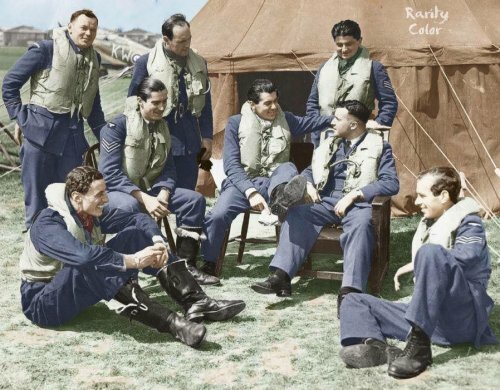 I think as sergeant pilots we probably weren’t “in the know” quite as much as the officers because obviously your senior officers were in the officers’ mess and the talking would be going on. The things that were said in there never reached our ears because we were in the sergeants’ mess. People would ask me “What did you think about the future?” but I had no idea, that sort of thing never occurred to me. I think the mood was positive. Getting out of France was a bit of a blow but even then you never got the impression of, “Oh my God we’ll never get back there again.” I don’t that occurred to anybody I knew in our squadron. We just tried to stay positive and did our jobs. Did that you mean you had faith in your senior commanders? We certainly had faith in our squadron commander, he was very good. Squadron Leader Hogan was a regular and he was considerably older than us. In fact, some pilots around his age were put into ground jobs and taken off flying because they probably weren’t suitable to be operational. He was excellent though and saw us through most of the Battle of Britain. When you were flying in combat was there a particular key to your survival or was it simply a matter of luck? It was probably largely because I had quite a lot of experience in flying a Hurricane. I was fully confident in flying it, I didn’t have to keep looking in the cockpit to see that everything was working. I never had any worries about that. 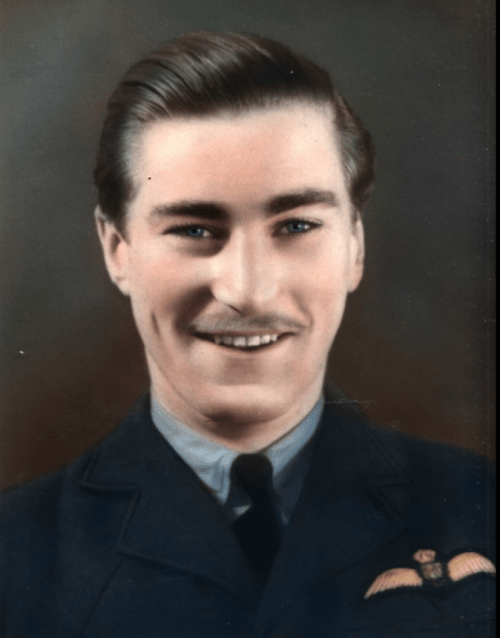 What were the circumstances for winning the Distinguished Flying Medal? There was no one particular circumstance, its just that I got that at the end of the Battle of Britain. I’d been in France, right through the Battle of Britain and it took them a jolly long time to give it to me whereas other chaps who had joined the squadron at the same time as me but who were commissioned either after they joined or were already commissioned, a lot of them became DFCs. I don’t like to say it but with considerably less in the way of victories as far as shooting down enemy aircraft were concerned than I had. It took a long time before I got my DFM. But then at least I did get it pinned on me by the King at Buckingham Palace, which was nice. What were your impressions of King George VI? You didn’t get much time with him. You shook hands and he said “Well done” or something similar. When I met the Queen last year at Capel-le-Ferne I said “Ma’am, I’d like you to know that your father gave me this medal. I don’t polish it because it might have his fingerprints on it!” She laughed and said “Maybe it has!” She was very good and easy to talk to. When the Battle of Britain ended, did you know if it had finished or if the situation had stabilised? I think people pulled a number out of the hat as to when it started and finished. As far as most of us were concerned, it was still going on and we were fighting. At the official end of the Battle of Britain we were still fighting and shooting down enemy aircraft so I don’t know where they picked up the dates from. I do think someone pulled the numbers out of a hat but there we are. 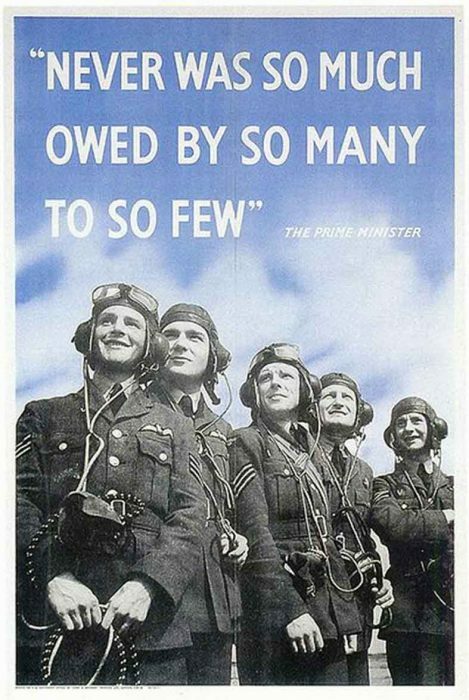 Do you feel that the Battle of Britain has been properly remembered? I think its been remembered as much as you would expect, after all we have a service at Westminster Abbey every year to remember it. It’s a wonderful service, the abbey is full and Dr Hall, the dean of Westminster is charming. He enjoys having the Battle of Britain in the cathedral. We can’t have it more than once a year as well as an annual service at Capel-le-Ferne for members of the Battle of Britain Memorial Trust. The main one is at the abbey and its absolutely packed. All the top brass attend it and the Queen and Prince Charles have been. Our numbers are diminishing all the time, I think last year there were only about six or seven of us there.